Smith & Tzannes were the principal consultants to the NSW Department of Planning, undertaking research and preparing the design guides for complying development and development applications. The policy came into force in NSW on 6 July 2018. Over the past 20-30 years we have see the housing market in NSW polarise. While free standing homes and apartments remain in demand, they don't meet everyone's needs, preferences and budgets. Medium density housing through the form of dual occupancies, terrace houses and small apartment buildings called 'manor houses' provide a great balance between density, amenity and affordability. The Low Rise Medium Density Housing Code. The Low Rise Medium Density Housing Code allows one and two storey dual occupancies, manor houses and terraces to be carried out under a fast track complying development approval. Complying development approval can be issued within 20 days if the application complies with all the relevant requirements in the State Environmental Planning Policy (Exempt and Complying Development Codes) 2008. Low rise medium density housing helps housing affordability by providing smaller homes on smaller lots that still provide all the amenities of a single dwelling and can accommodate a wide variety of lifestyles and needs, including growing families or empty nesters. Low rise medium density housing as complying development is only allowed where medium density development is already permitted under a council’s local environmental plan. Since 2015, the NSW Government has consulted widely with the community, industry and councils about the Code. Following an announcement in April 2018, a three month deferral was put in place to allow the Department time to run training sessions with councils and industry on the Code. Many councils commenced the implementation of the Code on 6 July 2018. For councils that have requested additional time, a deferral has been granted until 1 July 2019. Smith & Tzannes prepared the Medium Density Design Guide for ensure good design outcomes are achieved for medium density housing. The design guide was prepared in partnership with the Government Architects office. 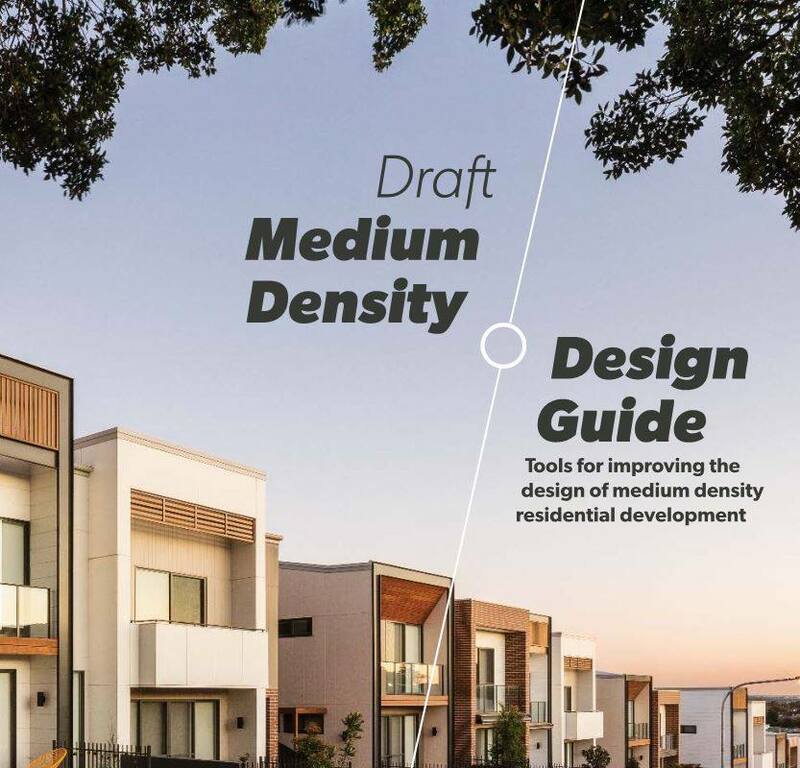 The 'Low Rise Medium Density Design Guide for complying development' aims to improve the design of medium density housing by addressing key considerations, including; layout, landscaping, private open space, light, natural ventilation and privacy. Low Rise Medium Density Design Guide for development applications. We also prepared a design guide for development applications to ensure a consistent assessment approach between the complying and merit assessment tracks. This guide contains an additional development type - townhouse and villas. It is designed to work closely with Councils Local Environmental Plan and Development Control Plan to ensure developments are designed to fit into the local character of the area as determined by their strategic planning. This guide can be downloaded here.